As human beings, it seems we are always looking either to the past or the future: the past is where we seek to garner wisdom from our individual and collective experience, while we look to the future in the hope of better things to come…. It is very common for a child to dream of a perfect world; one that its parents and grandparents were unable to create. And often, as adults, we may still rely on that child’s dreamlike vision of the future. Not so long ago, people were calling the twentieth century the bloodiest century in all human history and earnestly hoping that the new century would be some sort of a turning point for mankind: a time of tolerance and mutual understanding. But this is yet to happen… Massacres, ethnic cleansings, atrocities, and persecution continued their pestilential depredations. Hatred may not be the prevailing force in human affairs; nevertheless, its workings continue to deprive millions and millions of people of a normal life—one in which dignity, safety and, often, basic human rights are assured. We at the Museum cannot provide answers for every question nor devise a formula for universal tolerance, understanding, and respect. However, we contribute our efforts to the struggle of so many for the ideals of humanity, for human rights, and for freedom for every human being. Humanity is one family, and we strongly believe that members of that family are capable of finding a common language to solve their problems. Our exhibition, “From ‘A Crime Without A Name’ to ‘Genocide’: The Simele Massacre of Assyrians in Iraq, August 1933” relates the almost unknown tragedy that, along with other such events, spurred Raphael Lemkin to act forcefully on behalf of the victims of prejudice and hatred. His efforts resulted in the Convention for the Prevention and Punishment of the Crime of Genocide. We are also proud to display a new exhibition, entitled ”The Holocaust: Annihilation, Liberation, Rescue” provided by our partner, the Russian Research and Educational Holocaust Center in Moscow. The exhibition presents the story of Holocaust atrocities committed on the territory of the former Soviet Union, shows the role of the Soviet Army in rescuing the Jews from Nazi death camps with focus on Auschwitz, and commemorates the victims and liberators. Our work continues in the preparation of new exhibitions and educational programs at our new permanent location in Millburn, NJ. Overall, our aim is to enrich our visitors’ knowledge and understanding of the problems which continue to plague the planet and turn their attention to the problems which still trouble the world. 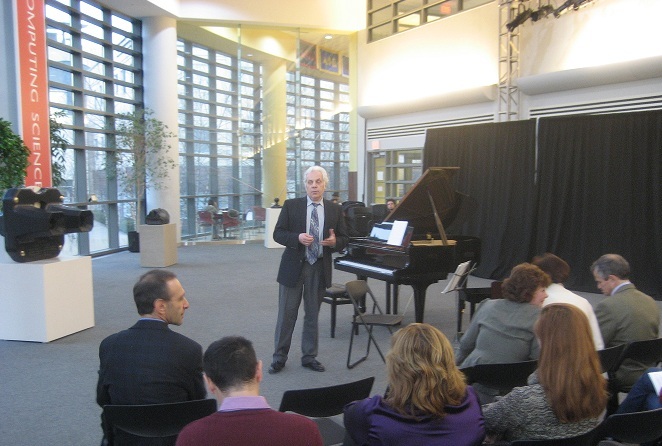 The inaugural concert of the program entitled “Never Losing Hope: Different Voices of Contemporary Music” by the Museum of Human Rights, Freedom and Tolerance (MHRFT) took place on December 4, 2011 at the New Jersey Institute of Technology (NJIT) Campus Center in Newark, NJ. The concert program featured the music composed by the Argentinean master Astor Piazzolla and an Italian great Nino Rota along with modern jazz masterpieces, performed by Julian Milkis (clarinet), Regina Mushabac (cello), Dr.Luba Sindler and Dimitrie D. Vasiljevic (piano). Each part of the program was introduced with an overview of the cultural and historic context in which the music was created. The concert also featured brief introductory notes by the members of the Board of the Museum and the Chairman of the Founders’ Club Dr. Arthur Greyf. The concert was very well received by the grateful audience. It sets off a good start for many more events and cultural programs to follow.The concert organizers and artists extend their heartfelt gratitude to the staff and faculty members of the New Jersey Institute of Technology for their invaluable contribution and help in organizing and conducting this memorable event. On March 29, 2011, the Museum presented the exhibition “From A Crime Without A Name” To “Genocide’: The Simele Massacre of Assyrians, Iraq, August 1933” to the participants of the conference “Forgotten Genocides: Silence, Memory, Denial“ that took place in the Rutgers University. 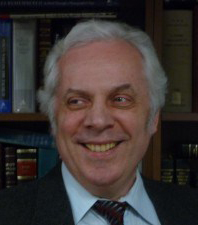 The opening of the exhibition at Rutgers-Newark and presentation at the conference were the first results of a partnership between the Museum of Human Rights, Freedom and Tolerance and the Center for the Study of Genocide, Conflict Resolution, and Human Rights (CGCHR) at Rutgers-Newark led by eminent Rutgers scholar Professor Alexander Hinton. Both organizations look forward to expanding their collaboration.